MELANIE DENISE DYER has an extensive performance background in improvised, orchestral and new music. She trained under William Lincer, Lee Yeingst, John Jake Kella and Naomi Fellows, and studied viola performance at the LaMont School of Music/University of Denver. After moving to NYC, Melanie began improvising with Makanda Ken McIntyre's Contemporary African American Composers' Orchestra and the Williamsburg Contemporary Music Orchestra. She became a regular on Boston's jazz scene performing weekly at Wally's Cafe and Connolly's Stardust Lounge in Roxbury as a side-musician for the Roxbury Blues Aesthetic. She brought her family of 6 to NYC in 2002, and started a 7-year weekly stint at St. Nick's Pub in Harlem as part of the Donald Smith Quintet along with Tulivu Donna Cumberbatch, Ku'umbaa Frank Lacy, Andy McCloud, Mark Johnson, Salim Washington and a host of celebrated uptown musicians. Melanie founded WE FREE STRINGS in 2011, an unfettered improvising ensemble that re-imagines the string sextet as a boundless vehicle for Free Jazz. The versatile, at times, visceral voices the ensemble -- including Charles Burnham (vln), Gwen Laster (vln), Clarissa Howell (cello), Ken Filiano (bass) and Noah Jackson (percussion) -- journey listeners through seamless performances featuring original and spontaneous compositions and arrangements of works by celebrated, emerging and under-recognized masters. 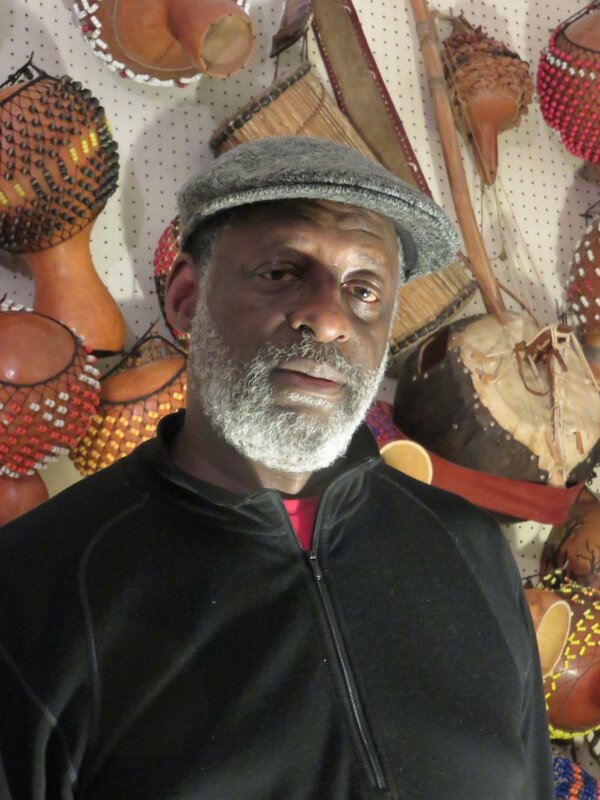 LARRY ROLAND, bassist, composer, and poet, often has merged his poetry with the acoustic bass to form a unique combination of art and commentary that blends the European literal, and the "African in America" oral tradition. Currently living in NY, he is a self-taught writer/bassist who has been in on the "out scenes" of Boston and NYC since the late seventies, "Sayin' & Playin'" , and performing with many notables, such as, Charles Gayle, Joe McPhee, Raphe Malik, Billy Bang, Mike T.A. Thompson, Steve Swell, Daniel Carter, James Spaulding, J.D. Parren, and many others. Currently, as a poet/writer, Larry has been involved with performances with the "Jazz Poetry Choir"; the Arts For Arts Collective; the annual Vision Festival of free improvisational music, dance, and poetry; and basic freelancing and open-mic situations. As a bandleader, Larry currently heads up his "Neo Urban Folk Project"; his "Outside Within" bands, and various other duets and configurations often with a dancer.